EDSL is committed to supporting the academic community and expanding the opportunities available to students and faculty alike. As such, we are pleased to announce that we offer Universities our Tas Engineering thermal dynamic simulation software free of charge to instructors and students. To further support instructors, EDSL will also offer no-cost training and support for course lecturers and teaching assistants. Academic programs involving environmental or mechanical engineering, architecture, sustainability, building services, or another related field can benefit from Tas Engineering. 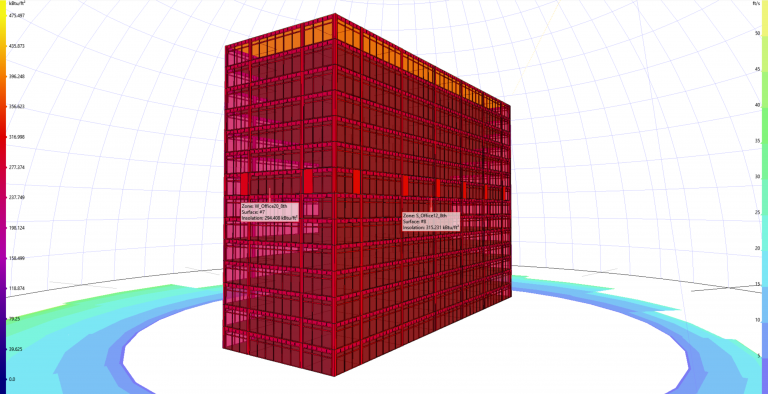 It simulates an array of environmental and systems design factors including daylight, natural ventilation, HVAC systems, and climate based daylight modeling. Tas is well suited for learning. Students and teachers can focus less on working around software limitations and more on describing designs, systems, and their components easily, accurately, and clearly. With the ability to generate and simulate models quickly and easily, it reduces the friction typically associated with preparing geometry and other data for simulation. The Results Viewer tool combines and displays results in an integrated environment, making it easier to understand relationships among multiple design factors and their ramifications. It supports highly granular data input and output, enabling students to investigate thoroughly, and minimizes any ‘blackbox’ circumstances in which assumptions and methodologies are not clearly understood. The fully-featured Systems module combines diagrammatic-level equipment and system definition with the full flexibility of a component-based design tool. An array of ASHRAE, COMNET, and NCM(UK) database resources are included, containing constructions, calendars, internal conditions, and weather files. Together, they serve as an extensible library of components and conditions for students to utilize confidently. Custom resources can be created for more focused areas of study. The software is to be used for educational purposes only, commercial use will require a paid license. Typical educational license duration is one semester, and maximum duration is one year. Alternative terms will be considered on a case-by-case basis. Licenses are renewable upon request with verified academic credentials. Instructor-assisted training will be provided at no cost to lecturer(s) and/or teaching assistants of courses relating to environmental or mechanical engineering, architecture, sustainability, building services, or another related field. Lecturers and/or TAs will be responsible for supporting their students with technical issues. Students will have access to the Tas training material, available for download at edsltas.com and as part of the Tas installation. If instructor-assisted training for students is desired, it will be offered at a discounted rate.